The Russian Air Force has attacked 72 Islamic State targets in Syria in 53 sorties within the past 24 hours, Russia’s Defense Ministry said, stressing the “increased efficiency of Russia airstrikes”. 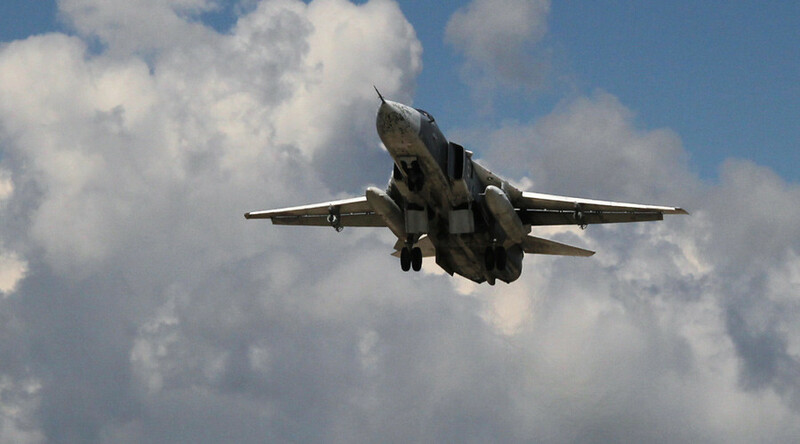 The Russian Air Force attacked militant locations in the Syrian provinces of Hama, Idlib, Latakia, Aleppo, Damascus and Deir ez-Zor, Major General Igor Konashenkov said in a statement. “I’d like to draw your attention to the increased efficiency of Russian airstrikes on terrorist installations. Russian jets used to work in pairs, but now there’s no need for that since our pilots have explored the location and are capable of hitting two targets at a time on their own,” Konashenkov said. Russia’s Defense Ministry denied US allegations that cluster bombs had been dropped in areas with civilian population during the operation, describing the accusations as “nonsense” and “unsubstantiated fantasies”. The Colonel’s assessment was based on an “initial open source” that he failed to provide. “Therefore, explanations by the Pentagon representative that they had dramatically reduced the number of sorties because, as of today, they don’t see targets in Syria, looks more than strange,” the Major General said. IS commanders have been in talks with members of other terrorist groups, including Al-Nusra Front, to unite their forces against Syrian government troops, Konashenkov said in an interview with Rossiya 24 channel. Despite the reported surge, the deputy chief of the General Staff of Russia, Colonel General Andrey Kartapolov, said on Thursday that the terrorist’s combat ability has been significantly reduced by Russian airstrikes. ISIS control and supply systems have been almost completely disrupted, according to the General Staff’s data, TASS news agency reported. Russia’s military has also hit one of ISIS’ supply routes from Iraq into Syria, a bridge over the Euphrates River in Syria, Kartapolov said. In a briefing for reporters, the Colonel General said that ISIS has been recruiting children as young as 12 years old. IS militants have been using “barrier squads” comprised of their most loyal fighters to prevent mass desertions. Operations carried out by Syrian troops have been significantly complicated by terrorists using civilians as human shields, Kartapolov pointed out. The Syrian army has managed to oust jihadists from a major railway junction in the Mahata neighborhood and rescue the village of Sanasil, while continuing to identify and destroy firing positions of the enemy, Kartapolov told journalists during a briefing. Government forces are advancing towards the Kuwayris airbase in the Aleppo province, which they predict will be freed within a matter of days. The troops need to cover a distance of 8 kilometers to launch the attack. In the meantime, the Russian military has provided foreign journalists with a chance to observe their work, letting International reporters into the Khmeimim Airbase, where Russia’s Air Force in Syria is based, the Russian MoD said.